A Business Management apprentice has received an exciting promotion after implementing a warehouse and inventory system which has revolutionised the running order of a local business. Panache Mujaya, 19 years old from Whitefield, began his Level 2 Business Administration apprenticeship in 2014 at Innovate FM in Radcliffe, a soft services facilities management delivery company that supports numerous fields, industries and partners nationwide. Amongst his many duties, Panache was responsible for organising and maintaining the warehouse and inventory which involved tagging, scanning and logging every piece of equipment that belonged in the warehouse. Panache designed a spreadsheet and log book to ensure that everything that came in and out of the warehouse was accounted for. 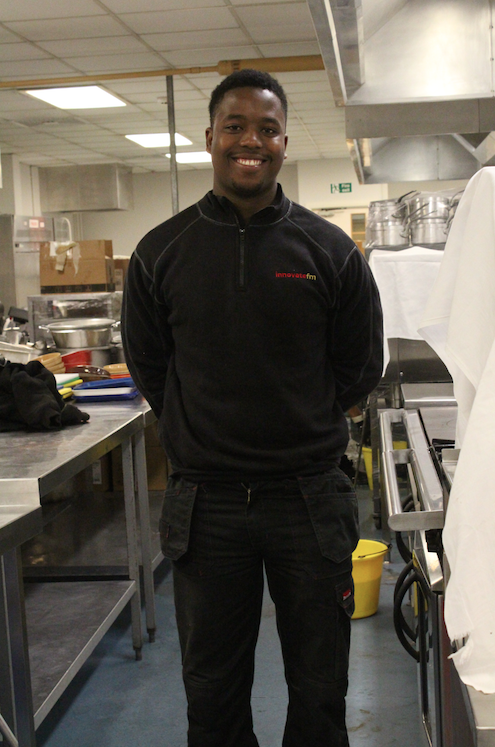 Panache’s achievements were recognised and awarded and received a promotion to Fleet and Inventory Manager.